This tiny shop seems to attract the young at heart. First there was Angel Face which evolved into a wholesale operation. Then there was Zipadees which now is located in a much larger store on NE Broadway. Now David Almgren brings us Kidz on Earth. David, who was a children¹s pastor for eight years, started Kidz on Earth as an online store (see http://www.kidzonearth.org).The success of this website and his desire to work with kids led him to open the shop on Fremont. He wants to sell kids products that are educational as well as entertaining. But not just any kid products. The products sold at Kidz on Earth are designed to make a positive impression on kids. As he explained, "kids are like wet cement‹you need to imprint them at an early age." The primary branded products sold at the store are from VeggieTales. Big Ideas Production, creator of VeggieTales, is now one of the leading brands of children's videos. The video series teaches kids about honesty, kindness, forgiveness and other values. I had to admit I knew nothing about Bob the Tomato and Larry the Cucumber. But according to Newsweek, these are "the veggies kids actually like." I¹m intrigued and may actually take David up on his offer to loan me a video. You can also see new releases of Big Ideas videos at Hollywood Theater. Check out the schedule for the shows at Kidz on Earth. In addition to the VeggieTales products, David also stocks children¹s items from 3-2-1 Penguins, Bibleman, Rev Kids, Wiggles and much more. He also carries some products from previous tenants Angel Face and Zipadees. Retailers Nationwide are targeting parents who dread dragging their children through stores and fighting adolescent fits of boredom by investing in family-friendly initiatives that give a competitive edge. From grocery stores that provide truck carts, free cookies from the bakery, sample cold cuts at the deli and free balloons, to IKEA's supervised Smaland, which allows parents to check in potty-trained children ages 3-8 to experience a ball pit, a rock wall, movie and puppets theaters while parents shop, retailers have learned that the way to successfully woo parents is by winning the hearts of their children. Smart Christian retailers - like the ones profiled below have created family friendly services and events designed to cater to busy parents and entertain energetic children. The result is a win-win shopping experience for everyone. It doesn't take much space for David Almgren to think big. The former children's pastor has turned his 500-square-foot Portland, Oregon, Kidz On Earth store into a destination stocked with educational and entertaining products for kids. 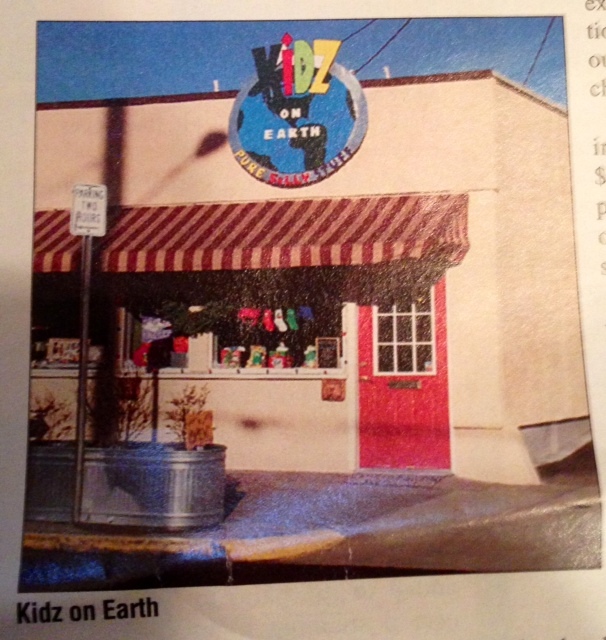 It started in 1999 as an Internet site (http://www.kidzonearth.org) that was an extension of his ministry to his church's families, which featured games, cartoons and an online store. The store expanded to a physical location in 2001 in a storefront outgrown by two previous children's stores. During the first year, sales increased from $25,000 to $160,000. Last year, sales plateaued as Almgren ordered more deeply and spent more on marketing. Kidz On Earth - with its primary -colored walls, indoor outdoor carpet and a draped blue cloth on the ceiling - was named as such to attract all children. "We didn't want to put a name on it that would scare people away." Almgren said. "people come to the store that would never go into a Christian bookstore." He says his store's success has come as a result of community and church involvement. He has booked a VeggieTales premiere at a local theater for 1,400 people, used Bob and Larry characters to attract spectators during a annual parade whose route crosses the store's threshold and sponsored a Bibleman Live event with a local church. Almgren said there is an "insurgence of creativity swelling up" from a few years ago, when Big Idea produced the only top-notch kids products, and now others such as Wacky World Studios ("The Roach Approach"), Wet Cement Productions ("Auto-B_Good") and TeleStory Productions ("Angel Wars") are showing signs of potential. But Almgren advise stores to reach beyond Christian-only products. "There is good family product out there like 'The Wiggles,' 'Angelina Ballerina,' 'Madeline and cranium games."